A Vatican document to regulate the life of the institutes that live separated from the world, addresses the autonomy of monasteries, their federation, their separation from teh outer world and formation. New social media "must be used with sobriety and discretion, not only with regard to content but also to the quantity of information and the type of communication". Vatican City (AsiaNews) – The life of contemplative women, characterized by the cloister, finds itself, in present times, facing phenomena such as de-Christianization and the crisis in religious vocations, but also realities such as new forms of widespread social media and the need for greater relationships between institutions. These are some of the aspects facing the "Cor orans" instruction of the Congregation for Institutes of Consecrated Life and Societies of Apostolic Life, made public today. Presenting the text Msgr. José Rodríguez Carballo, O.F.M., secretary of the Congregation said it "reflects very well what the nuns themselves asked for in the replies to the questionnaire that had been sent to all the monasteries of the world some years ago ". 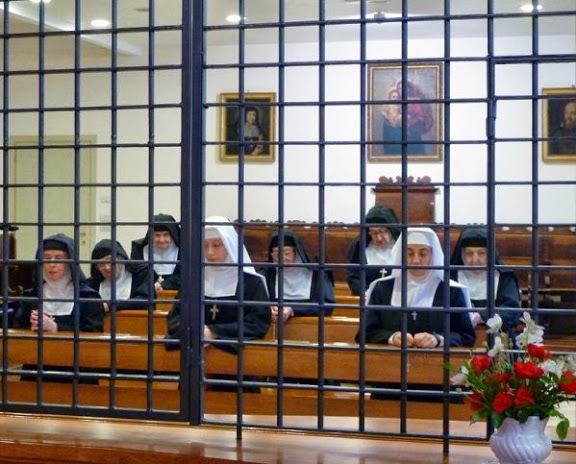 "A praying heart in the Church and for the Church - the document states - female contemplative life, guardian of gratuitousness and of rich apostolic fruitfulness, has always been a visible witness of mysterious and multiform holiness and enriches the Church of Christ with fruits of grace and of mercy". Therefore, the characteristic and purpose of the institutes of religious consecrated life is separation from the world. It "corresponds to the Pauline dictate of not conforming to the mentality of this era, fleeing every form of worldliness (No. 156)". Hence the rule of the cloister or "the monastic space separated from the outside and reserved for the nuns, in which the presence of strangers can be admitted only in case of necessity. It must be a space of silence and recollection where the permanent search for the face of God can develop, according to the charism of the Institute". The Instruction, which deals with the autonomy of the monasteries, the federations of monasteries, separation from the world, formation, is introducing innovative legislation concerning the new means of social communication (No. 168 ), in all their varieties. It "aims at safeguarding recollection and silence: in fact, it is possible to empty contemplative silence when the cloister is filled with the noise of news and words. Recollection and silence is of great importance for the contemplative life as a necessary space for listening and ruminating the Word and a prerequisite for a gaze of faith that grasps the presence of God in one's personal history and in that of one’s sisters [...] in the events of the world '. These means (No. 169) must be used with sobriety and discretion, not only with regard to the contents but also to the quantity of information and the type of communication, so that they are at the service of contemplative life formation and necessary communications, and not an occasion for the dissipation or evasion of community life lived in sisterhood, neither for your vocation nor for your life entirely dedicated to contemplation ". Consequently, since Institutes wholly devoted to contemplation always occupy an eminent place in the mystical body of Christ "no matter how urgent the necessity of the active apostolate is, the members of such Institutes cannot be called upon to help in the various pastoral ministries". The changes taking place over time are reflected in numerous points, for example, when it is stated that in choosing the place of the foundation of a monastery "particular attention must be paid to the needs of the sacramental and spiritual life of the new monastery, because the lack of clergy in some particular churches do not always allow us to identify a presbyter who has the competence and spiritual sensitivity to accompany the community of cloistered nuns (n.27) ". 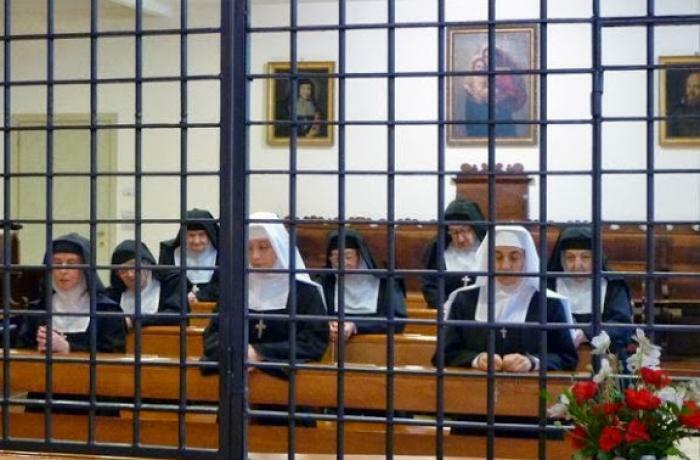 Or when the criteria that may be involved in the decision to close a monastery include: "the number of nuns, the advanced age of most members, the real capacity for governance and formation, the lack of candidates for several years, the lack of the necessary vitality in living and transmitting the charism in dynamic fidelity (n.70) ". But "we must nevertheless avoid recruiting candidates from other countries for the sole purpose of safeguarding the survival of the convent (No. 257)". Since cloistered life is a personal encounter with the Lord, it "begins with the call of God and the decision of each to follow, according to their own charisma, the footsteps of Christ, as his disciple, under the action of the Holy Spirit ( No. 221). And therefore "while the acquisition of knowledge is still important, formation in the consecrated life, and especially in contemplative monastic life, consists above all in identification with Christ (n.22)".